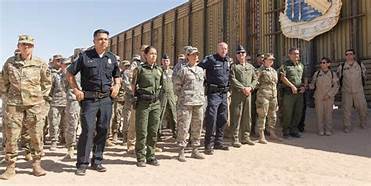 President Trump may increase up to 15,000 US Troops to southern border and warned that if migrants throw rocks at American Military, consider it a rifle and "our military fights back"
U.S. 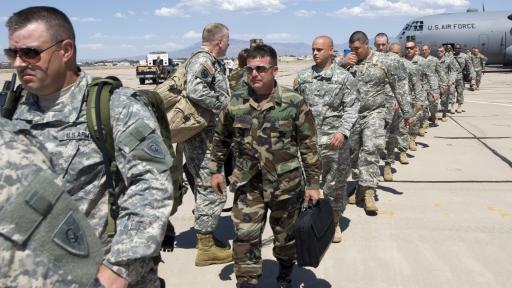 Troops sent to US-Mexico border (Photo from : www.onenewspage.com). 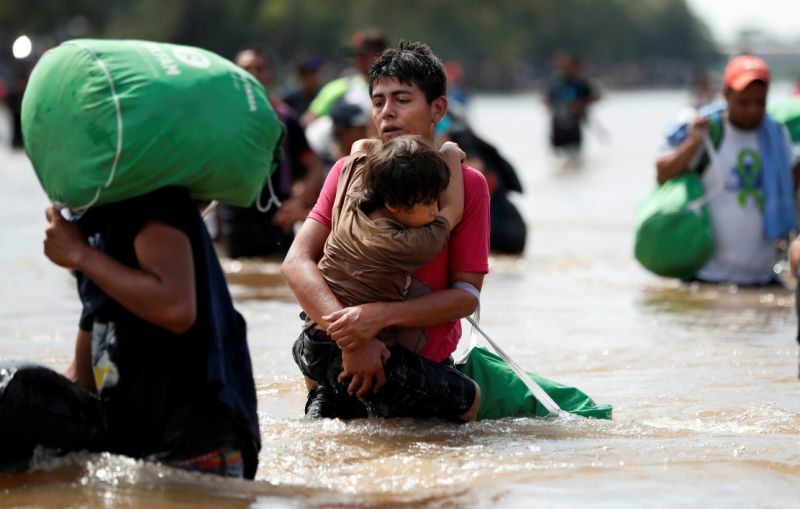 VietPress USA (Nov. 1st, 2018): On last Monday, the Trump administration announced that it planned to deploy 5,200 troops to the southern border to deter an estimated 3,500 migrants seeking political asylum in the U.S. The decision to order the Department of Defense to deploy active duty military troops, as opposed to members of the National Guard, has been described as political posturing by defense experts. But today on the way to Florida for a campaign to support GOP candidate at a swing state; President Trump told reporters that he might send up to 15,000 troops to the border with Mexico to deter a Central American migrant caravan slowly heading toward the United States. Trump said: “We’ll go up to anywhere between 10,000 and 15,000 military personnel on top of Border Patrol, ICE and everybody else at the border”. With the midterm elections now less than a week away, polls continue to show that Democrats are likely to retake control of the House of Representatives, a scenario that could derail Trump’s anti-immigrant agenda and expose him to multiple congressional investigations. election approaches, Trump has ramped up his rhetoric against the caravan and against undocumented immigrants generally. This week, Trump called for an end to birthright citizenship guaranteed by the U.S. Constitution, setting off a rift within his own party. Soros was one of the targets of a fanatical Trump supporter who sent mail bombs to prominent opponents of the president a week ago. The man accused of shooting up a synagogue in Pittsburgh on Saturday had posted on social media that he blamed Jews for promoting illegal immigration into the U.S. He pledged to end the “catch and release” practice of paroling refugees with credible asylum claims into the population. “We’re gonna catch, we’re not gonna release,” he said, claiming that just “3 percent” of asylum seekers return for court hearings on their claims. The actual number, according to Justice Department figures, is between 60 and 75 percent. He said he planned to issue an executive order on the subject, but didn’t say what it would consist of. For the most part, Trump simply amplified many of the same unsubstantiated claims that he’s been airing at rallies and on Twitter over the past two weeks about a caravan of mostly Honduran migrants slowly making its way through Mexico. “It’s like an invasion,” Trump said, describing the thousands of migrants who, as of earlier this week, were still at least 1,000 miles away from the nearest U.S. point of entry, as a violent and imminent threat to the country. Trump began focusing his attention on the so-called caravan last month, when a large group of migrants first departed the Honduran city of San Pedro de Sula, growing to more than 7,000 as it traveled through Guatemala and into Mexico. That first group, whose numbers have since diminished to approximately 4,000, reached the Oaxacan city of Juchitán this week, as a second, smaller caravan crossed into Mexico about 250 miles behind. While Mexican authorities were ultimately able to impose order on what was initially a chaotic and aggressive entry by members of the first caravan nearly 12 days ago, migrants from the second group reportedly threw rocks and used sticks in a more violent confrontation with Mexican police, as they crossed the Suchiate River from Guatemala this week. “Hard-working taxpayers will be asked to pick up the tab,” he said. According to the Washington Post, Trump had initially planned to unveil a new immigration policy Tuesday, but postponed the announcement in the wake of the Pittsburgh synagogue massacre. On Twitter Wednesday, Trump repeated unsubstantiated claims about those traveling in the migrant caravans coming from Honduras and El Salvador. In fact, in order to seek asylum in the United States, an individual must first be physically present in the country. Under current law, migrants can legally pursue asylum at the border either by presenting themselves to border officials at one of the 48 official ports of entry between San Diego and Brownsville, Texas, or else by turning themselves in once they cross the border. Experts have warned that efforts to block these legal paths to entry, which are now used by the majority of Central American migrants, will not reduce the number of asylum seekers but will drive more of them to pay for the services of smugglers and put themselves in danger to cross the border without getting caught. 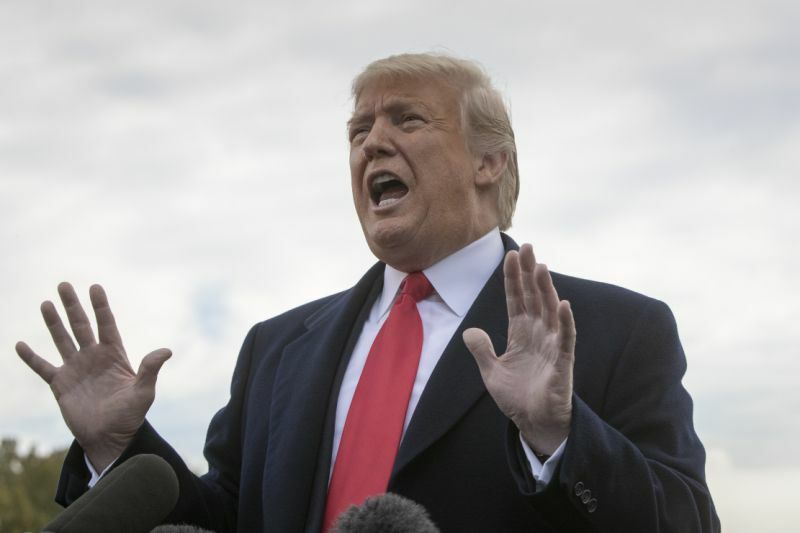 Earlier this week, the president suggested he would move to end birthright citizenship with an executive order, falsely claiming that it is not covered by the Constitution and vowing the issue will ultimately be settled by the Supreme Court. Most legal experts scoffed at the idea, saying the 14th Amendment, which guarantees citizenship to anyone born in the United States, is settled law. On Monday, the Trump administration announced a plan to deploy 5,200 troops to the southern border to deter the estimated 3,500 asylum seekers in the Central American migrant caravan slowly making its way north through Mexico. As he departed for a campaign rally in Florida Wednesday, Trump told reporters that he might send up to 15,000 troops to the border. If he does, the number of troops there would outnumber American forces in Afghanistan. And on Thursday morning, a video posted last night to the president’s Twitter feed compared the asylum seekers in the migrant caravan to a Mexican man who admitted killing two cops in California — a move that recalled the race-baiting “Willie Horton” ad attacking Michael Dukakis in support of George H.W. Bush in 1988. The military spokesman said only those troops that are involved in protecting assets like helicopters will even be armed. He stressed that they are there to free up border patrol agents by doing logistical and administrative work while the agents protect the border.